At 23, the Swanton, Vermont resident was starting a new phase of life. Having just received his commercial driver’s license, Pion started a job with Coca-Cola. His girlfriend had recently graduated from college and they were getting ready to start their lives together – looking to buy a house and becoming the proud parents of an adorable puppy, Eli. These plans changed in August of 2008, when Pion dove into a friend’s above ground pool, injuring his spinal cord and becoming paralysed from the chest down. Pion’s life as he knew it came crashing down. 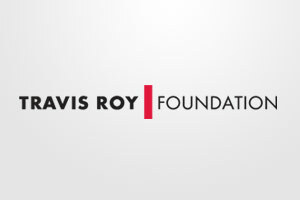 While he was in the hospital, one of his colleagues contacted the Travis Roy Foundation. Pion’s insurance was willing to pay for him to go to any rehab center in the country, but they would not pay for his transportation down there. 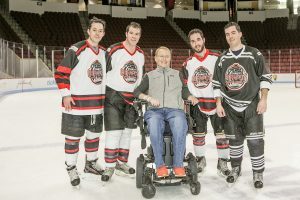 He received a $5,900 grant from the Travis Roy Foundation to cover half the cost of his medevac flight to Atlanta. In Atlanta, Pion was supported by people with the right background, made friends with similar injuries, and learned how to get out in the community. The mental journey has been difficult. “At first, I knew what happened, but it wasn’t real. It wasn’t real until I went to Atlanta and saw everyone with injuries like me, that I realised I wasn’t going to get better,” Pion said. “This wasn’t like a broken leg.” He also struggles adapting to a new lifestyle where he is not able to do all the things he wants to do and has to stick to a schedule dependent on caretakers.